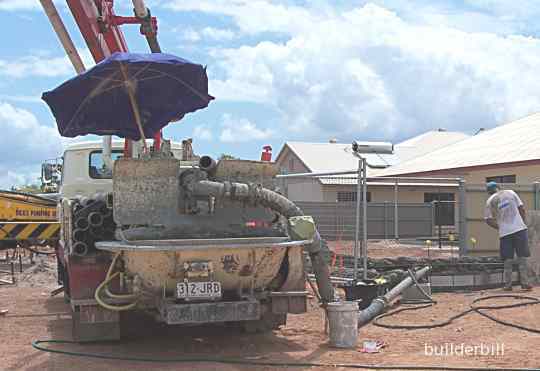 A machine for pumping wet concrete. In most cases they are mobile being truck or trailer mounted. Larger projects use fixed pumps. 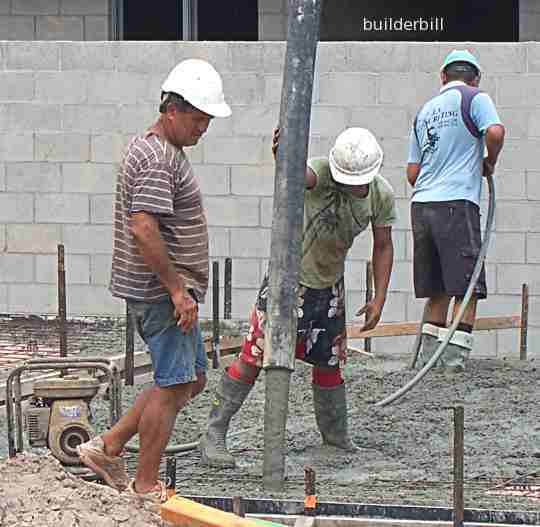 A hopper like receptacle for lifting concrete and positioning it by crane. The size of the kibble is governed by the lifting capacity of crane available. The discharge is either from the bottom or side. The delivery end of a concrete boom pump. The boom is similar to a hydraulic crane except that it has the sections of articulated metal pipe attached to it. The last couple of sections that awing free of the boom are of a heavy rubber type appearance. Boom pumps arrived quite a while later on the scene than the concrete ready mix trucks. 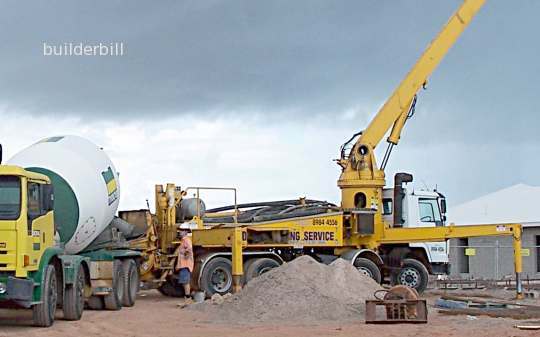 For many years the method of delivering concrete around job sites was the crane and the concrete kibble, but the convenience of the concrete pump is becoming well recognised and as the reliability and the technology improves they are becoming very popular on even the smallest of jobs. Here is a very small pump that is not using the boom, but it is using a line to pump concrete for a shotcrete swimming pool.